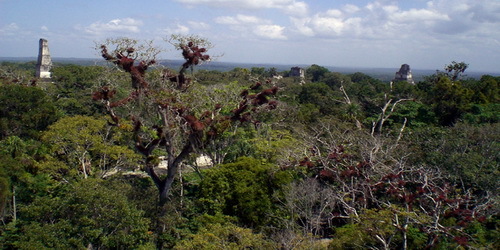 Unlike Chichen Itza, Tulum or Palenque in Mexico, Tikal is a city deep in the jungle. To walk from one complex of buildings to another means a stroll along a jungle path, which, as likely as not, will be crossed by the trails of leaf cutter ants. 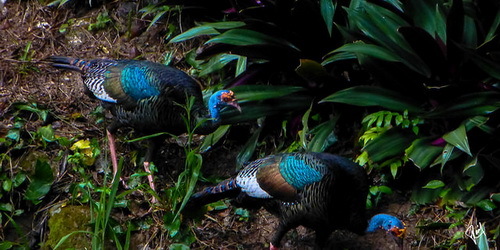 In the 360 square kilometers of protected forest in Tikal National Park, no one shoots the animals and birds, so wildlife sightings are frequent and extraordinary. You can easily see more birds than people at Tikal. We make efforts to keep the area of the national park clean and free from poachers, thus creating an environment for wild animals to strive.